The power of scent lies in its unknowability. You can touch the finest brocade. You can gaze out over a Mediterranean seascape. You can taste a foie gras as it melts in your mouth. But the hit of a heady scent takes you by surprise. 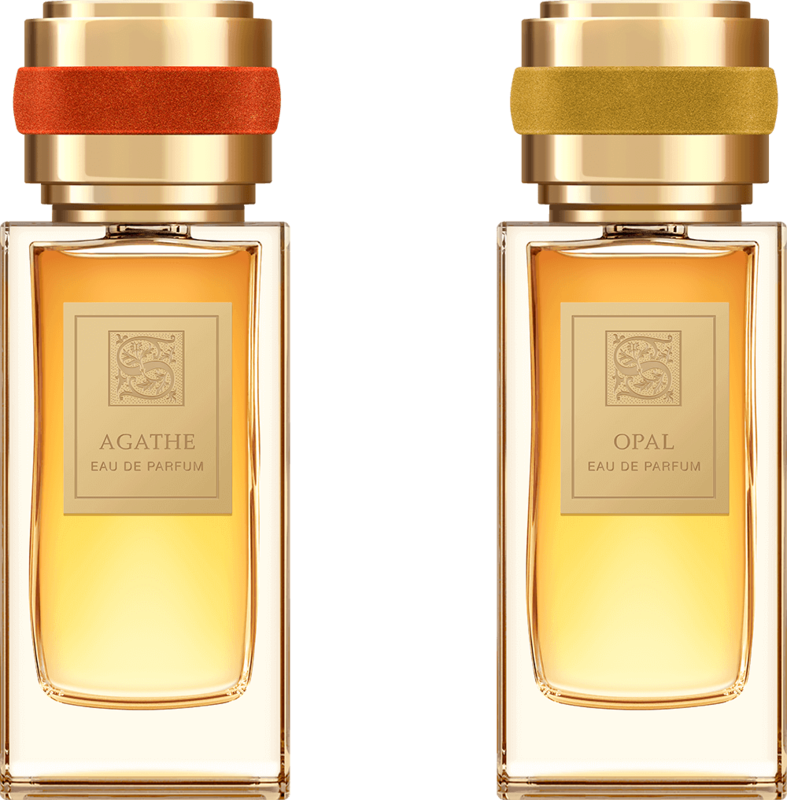 To bottle each Sillage d’Orient fragrance is to capture mystery of scent within.To wear it, is to wield its power. The deep, dark reds of garnet have inspired power, passion and desire for centuries. Egyptian pharaohs wore garnet necklaces. Ancient Greeks believed garnet could bring together quarreling lovers. Signature GARNET is this blend of passion and tenderness, masculine and feminine, strength and surrender. Silky, delicate notes of rose float above the intense richness of Arabian oud. In Signature GARNET, find a fragrance equal parts heartfelt and wild. Agathe surprised the earliest humans when they broke open a normal stone to find rich layers of crystalline colors inside. The complexity of Agathe’s patterns proved seductive throughout the ancient world. Sumerians wore it to talk to the gods. Tibetans used Agathe for protection. Celts believed the stone symbolized the mysteries of life. Signature Agathe surprises and delights with its own complexity. A harmony of flowers melds with citrus and a hint of vanilla to create a fragrance as layered and feminine as the stone itself. Unbottle Signature Agathe and discover its surprising seduction. Amber has always been treasured. Ancient Egyptians used amber for protection. Ancient Greeks believed amber to be tears of a goddess. To Romans, amber was precious currency. Over centuries, this luxurious stone has remained highly prized. Inspired by this aristocratic stone, Signature Ambre begins with the noble warmth of musky ambergris, and ends with gentle notes of balsam and vanilla. The result is a scent as rich as its namesake. Open Signature Ambre, and reveal the most precious prize. Ancient Greeks thought diamonds were pieces of stars fallen from the heavens. For ancient Indians, diamonds provided protection from evil. Romans first used diamond rings to represent eternal bonds. Diamonds have seduced humans for centuries, and the diamond’s purity seduces us yet today. 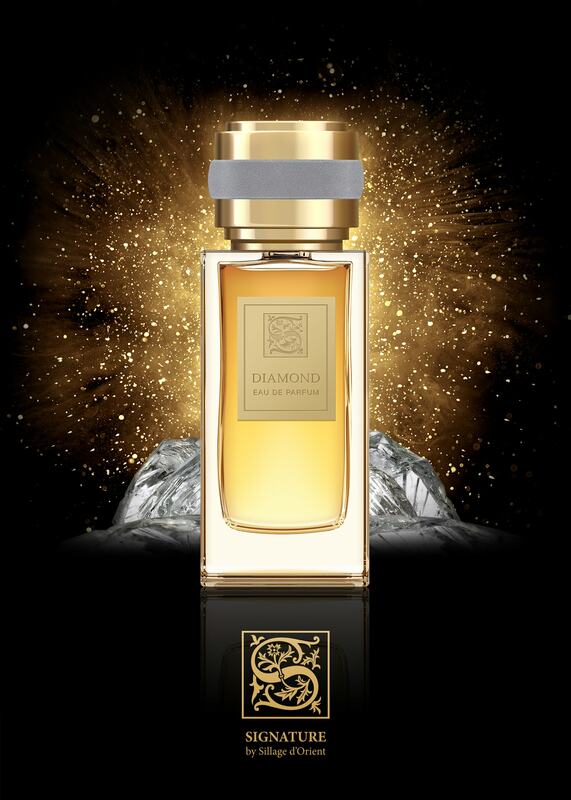 Signature Diamond own powers of seduction come from notes of Arabian amber and incense over a heart of rich, dark oud, cut from Mediterranean forests and carried over desert dunes. Give in to divine seduction. Give in to Signature Diamond. A Chinese proverb says, “Gold is valuable. Jade is priceless.” The Chinese have long believed that those who seek a flawless cut of jade will be magically blessed with wisdom and long life. Signature Jade bottles the same magic of a perfectly pure jade. Citrusy fresh notes of bergamot, lemon and mandarin present a strong sweetness, then give way to the warmth of amber, vanilla and musk. Like jade, this perfect balance of sweet and spiritual promises goodness and purity. 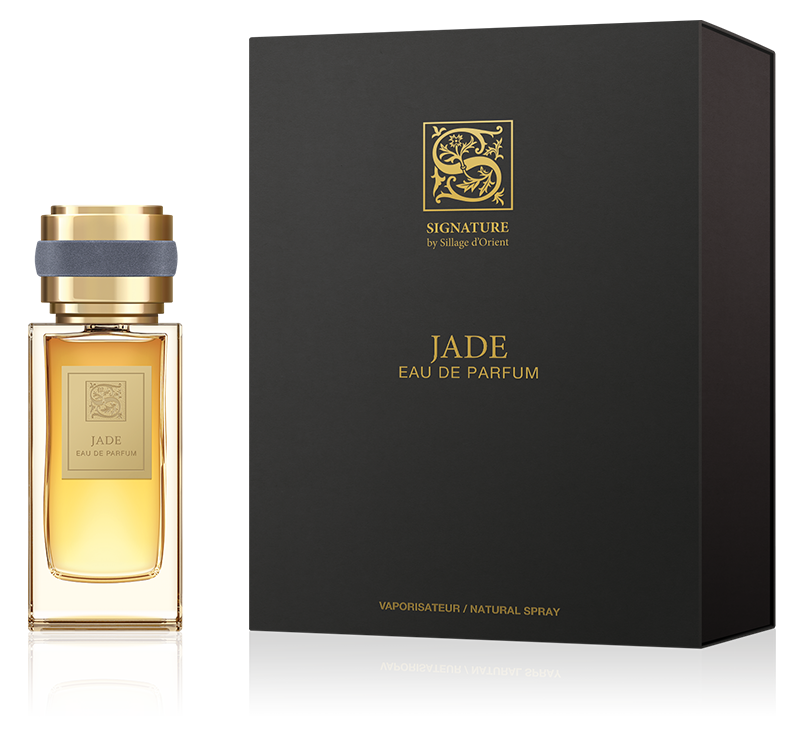 Discover the immortal spirit of the East: Signature Jade. The opal’s unique patterns inspire the human imagination. Look into an opal, and you will discover your creative powers. Like the shimmer of an opal, Signature Opal inspires as it fills your senses. Gentle notes of jasmine, rose and ylang ylang float above rich musk, tonka beans and dark cherry heliotrope blooms. In Signature Opal, find originality. Discover a distinctly individual fragrance. Onyx was once used to overcome life’s hardships. For those who also want to be the writers of their own fate, there is Signature Onyx. This fragrance blends citrus and floral notes. The sweetness of apple and pineapple melds with the intense berry notes of cassis over the woody scents of amber, oak moss and vanilla. With scents of both fruit and the forest, Signature Onyx energizes while it empowers, just like the stone. In Signature Onyx, find inspiration to become the master of your own future. Sapphire’s blue luster has always inspired awe. Dynasties from the Egyptians to the Victorians wore sapphire gemstones to display their power and celebrate their royal status. Signature Sapphire captures this spirit of royalty in a sophisticated fragrance. Sage and juniper meld with woody birch and maté, balanced by the rich vanilla of African tonka beans and a bite of pink pepper. The result is the most regal of fragrances: Signature Sapphire. Ancient Persians, Aztecs, and Egyptians all believed in the prophetic power of emerald. Its bright green luster never fades, making it a symbol of hope throughout the world. 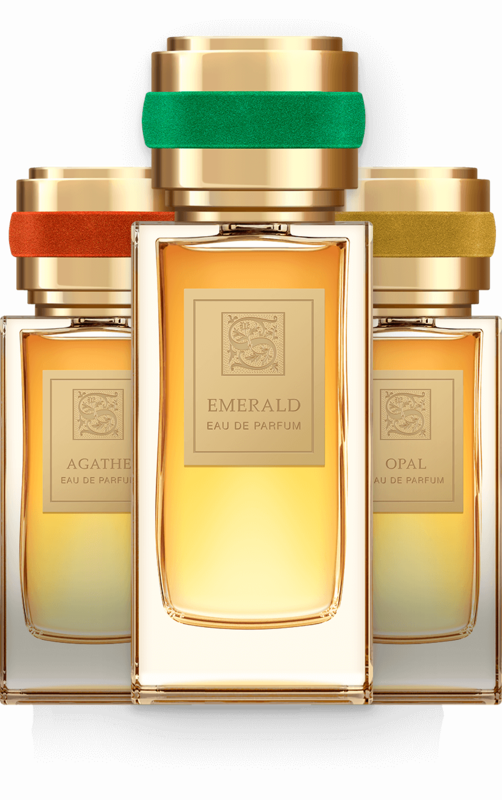 Signature Emerald is bottled with the same optimism of this beloved gem. 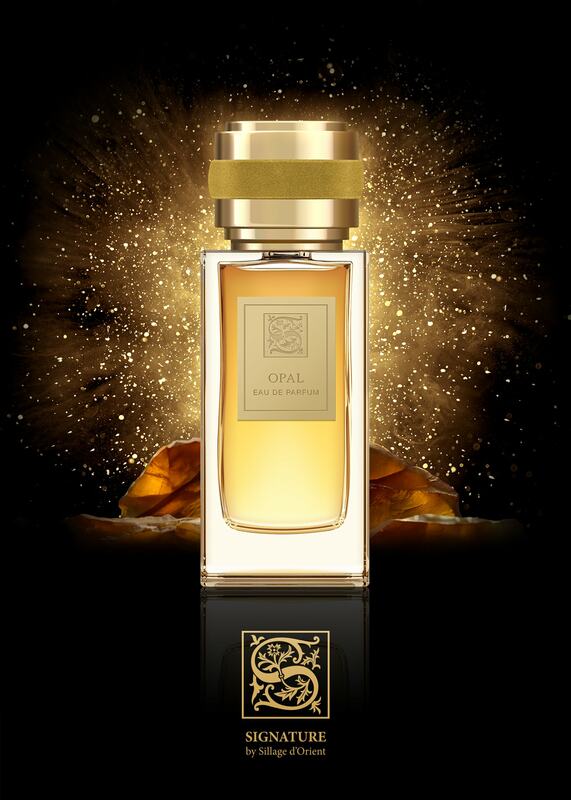 High notes of lemon, jasmine and rose lift up a rich base of oud, patchouli, amber and cardamom for a fragrance as exceptional as the gem that inspired it. With emerald as your guide, the way forward is always clear: Signature Emerald. For some, the power of a perfectly formed gem lies in its beguiling luster. Others are drawn in by a brilliant hue. However a stone speaks to you, it does so without words. It’s a sensation, a vibration, an energy that connects somewhere inside you. Like a soulmate, intuition binds you to the gem, and the gem to you. The Sillage d’Orient Signature Collection is a celebration of this unspoken connection. In each fragrance - as in that special gem - we find a piece of ourselves. Discover the fragrance that is meant to be, for you. The Signature Collection by Sillage d’Orient: Perfectly formed. Completely you. Copyright © Silage d'Orient by extravaganza.